Following last year’s £7.4m investment from the Department for Culture, Media and Sport (DCMS) which completed the installation of WiFi in 99% of public libraries in England, Tinder Foundation identified the need for research and insight into how WiFi could be maximised through the use of mobile technology and the importance and benefits of investing in the development of library users’ digital skills. As a result, Tinder Foundation, in consultation with the Leadership for Libraries Taskforce, launched the Library Digital Inclusion Fund, to help those with WiFi already installed to engage and support hard-to-reach learners who were socially and digitally excluded, and to deliver basic digital skills training using WiFi and mobile technology. 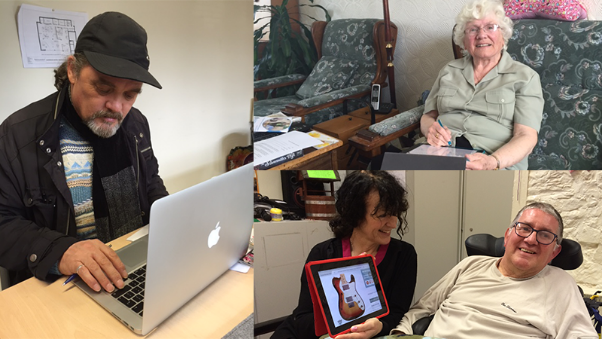 In March this year I wrote a blog post revealing the interim findings of the Library Digital Inclusion Fund and I am now in the privileged position to announce the publication of the Library Digital Inclusion Fund final report. The report details the innovative digital inclusion delivery models and pilots carried out by 16 Library Services across England that were funded by Tinder Foundation, and showcases unique approaches and best practice in delivering basic digital skills. The funding enabled the Library Services to support more than 1,600 people - including those on low incomes, the long term unemployed, unpaid carers, people with disabilities and those who are housebound and socially isolated - and to deliver in more than 200 library branches in both rural and urban areas, as well as in a variety of outreach locations, including people’s homes, day care services, and a variety of community centres. It also helped us to identify potential channel shift cost savings for government services of £800k per annum across the 16 library service areas. If similar activities were rolled out nationally across all 151 library services in England, this would equate to £7.5 million per year. Digital inclusion activities covered everything from job search skills to keeping in touch, connecting with essential government services to managing long term health conditions, and a number of the beneficiaries have gone on to apply these skills to their lives, allowing them to become digitally engaged and ultimately benefit from improved social and economic outcomes, such as further learning, volunteering, gaining job interviews and saving money. 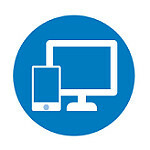 The 16 Library Services used the funding from Tinder Foundation to invest in mobile equipment like tablets and mobile internet devices, essential for outreach engagement and delivery. They also collected management information using Tinder Foundation’s online learning platform Learn My Way, which automatically captures data on learners’ activity and progress, and online tutor return tool CaptureIT, which allowed Library Research Partners to track learners and record digital skills delivered using their own materials and resources. Collecting management information in this way enabled the Library services to report on the progress and impact of their projects and is something that could be used to promote their work to key stakeholders, and to support funding applications. The evaluation of the Library Digital Inclusion Fund identified a number of successful delivery models, such as maximising the use of the library branch network, mobile classroom delivery, tablet lending delivery, and delivering in partnership and we were able to develop a number of interesting case studies in relation to these. The learnings from the project are significant to library services, library stakeholders and government who can benefit from the experiences of the 16 pilots, taking forward key learnings and best practice, building on the installation of WiFi across England's libraries. The Library Digital Inclusion Fund provided a great opportunity to work with libraries and to share insight and best practice on digital inclusion activities. With the right support and resources the existing essential national infrastructure of libraries has the capacity to deliver digital inclusion activities to the heart of communities across the UK. As the default national partner for libraries in delivering digital inclusion and addressing other social inequalities through digital, Tinder Foundation are committed to being a continued source of support, and we will adapt and improve our offer to libraries to help them in their digital inclusion activities. 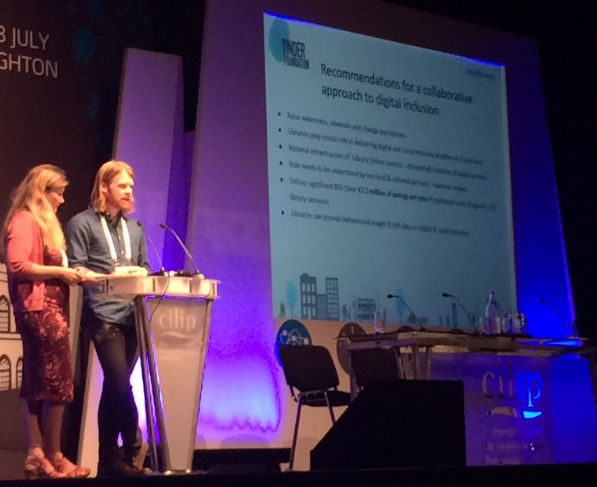 Members of the Tinder Foundation team have just presented at the CILIP annual conference and have been invited to present at a number of CILIP and SCL events over the forthcoming months. Tinder Foundation is also holding a free ‘Libraries Delivering Digital Inclusion’ event on the 14th September in Sheffield. What is your name? What is your favorite color? What is the airspeed velocity of a library?